Well as I have said before if you haven’t gone over to Miniature Wargame Conversions and signed up for their Pay it Forward contest you should go over there now and follow via Google Friend Connect and that’s all you need to do to enter. Apart from that there will be some changes coming after the May drawing. 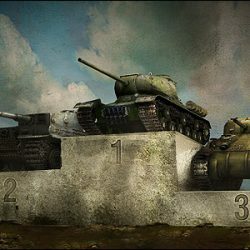 The Pay it forward is going to be staying on the Miniature Wargame Conversions website but it will be mainly smaller prizes and the bigger prizes will be going over to the 40kforums.com so it can grow and expand! For more information on that check out this post at Miniature Wargame Conversions. Apart from that they are putting the call out for writers over there as well so if you have some great conversions that you want to show off or have been wanting to be part of a community basing around the hobby side of things click here to read what they are looking for. You never know who will turn up there! Your contribution to Tales from the Warzone helps to improve the site and keeps the bills paid. Tales from the Warzone is free - no subscription is ever necessary, but your donations help us keep it growing. Otherwise remember to visit any of the advertisers linked throughout the site.